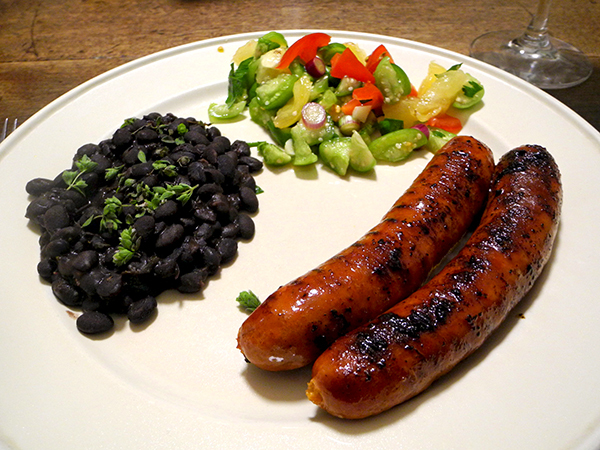 I wanted a sausage to accompany the beans I had cooked the night before, and the only sausage I had on hand was a package of frozen chorizo. I should probably have used it as part of a composed dish, since these links were far more spicy (really hot!) than I expected of a brand marketed as broadly as Niman Ranch is. In addition, the dried chilis I tossed into the salsa which accompanied it, while ostensibly the same as a supply I had just exhausted, were much hotter. 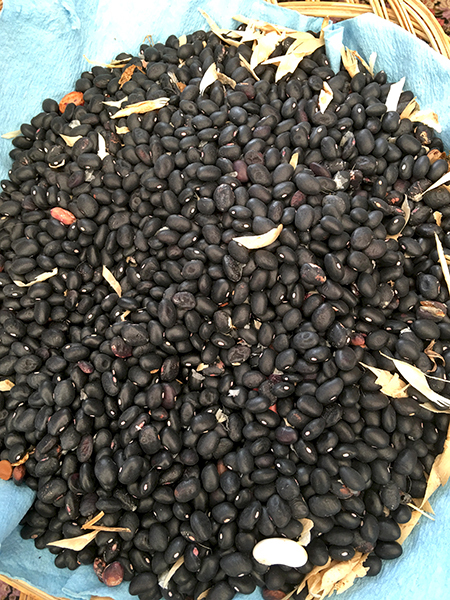 Fortunately, the beans at least had no spiciness (only a real herbiness). 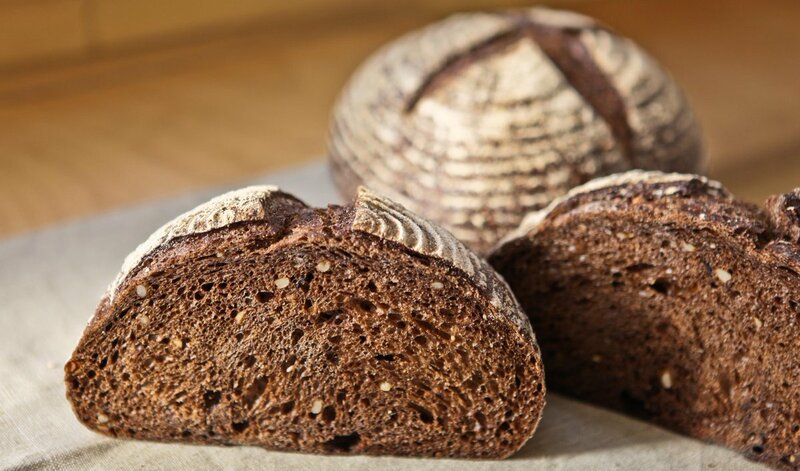 I also put some rich moist black bread on the table, and both were helpful in refreshing taste buds somewhat dazed by the other 2 elements of the dinner, enabling us to enjoy the good wine.